The annual ceremony will again celebrate the city&apos;s finest businesses, entrepreneurs and organisations across 14 different categories as well as crown our overall company of the year. Our events team has put together a new-look awards with some brand new categories to celebrate the achievements of a host of different businesses, charities and public sector bodies operating in fields as diverse as manufacturing, export and retail. There are five new categories for 2019 covering corporate social responsibility, hospitality, property, the public sector and a young businessperson award to showcase the work of the under 30s. 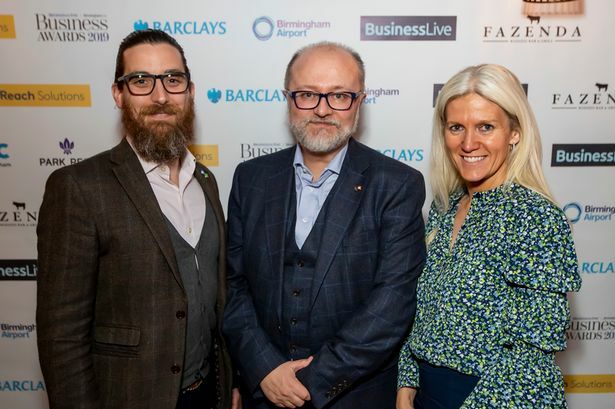 The awards were launched last night in front of 80 sponsors and guests from the Birmingham business community at a special event at city centre bar and restaurant Fazenda. And we are delighted to welcome Barclays, Birmingham Airport, the ICC and Park Regis which have all already signed up as sponsors of the 2019 event. Marc Reeves, editor-in-chief of Reach Midlands which publishes the Birmingham Post and BirminghamLive, said: "Our annual awards are a wonderful celebration of the city&apos;s diverse and dynamic business community and our new categories reflect this. "Never has that diversity and dynamism been so vital as in the current, volatile economic climate. "By the time of the ceremony, we will probably be out of the EU but I know Birmingham businesses will continue driving forward with economic growth whatever the political and business world throws at them. "I am therefore delighted to launch the 2019 awards and look forward to receiving another great raft of nominations."